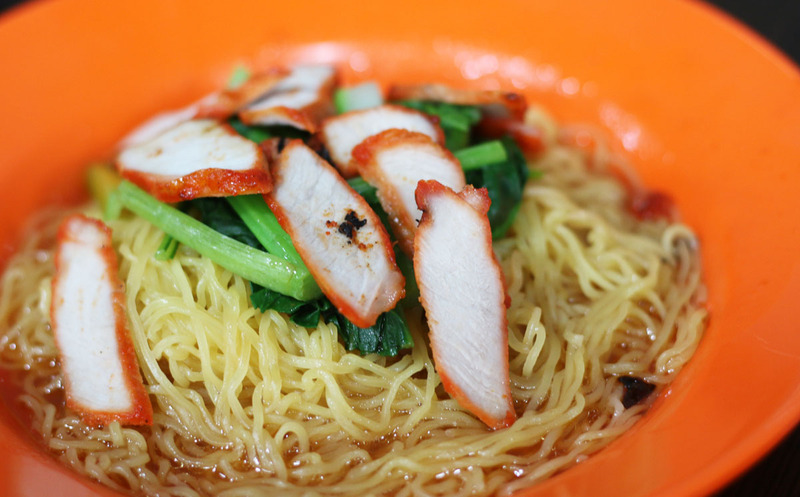 There used to be Kok Kee Wanton Mee (that was like everybody’s favourite), but they are no longer in business. 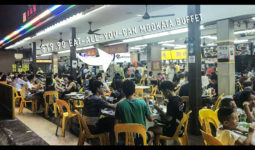 The sub branch at Jurong is nowhere similar to the original Kok kee at jalan besar. 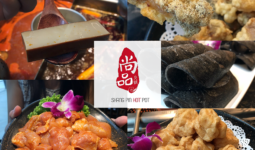 Oh well, gotta move on… So recently we found this hidden gem at Simpang Bedok. So what makes this place so good? 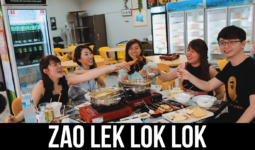 Well first of all, it reminds me of Kok Kee. The sauce on the noodles are not as “SHIOK” as kok kee’s, but it’s still tasty though. If you don’t eat chilli, good for you, because adding ketchup to their noodles actually taste SUPER GOOD! Maybe next time i should try chilli plus ketchup, i imagined it should be even better. The price is DAMN WORTH IT! It’s SGD$5 with a free drink! Then look carefully into the noodles, the “chap” is watery. And the charsiew, really reminds me of Kok Kee. This, my friend, is the bomb! 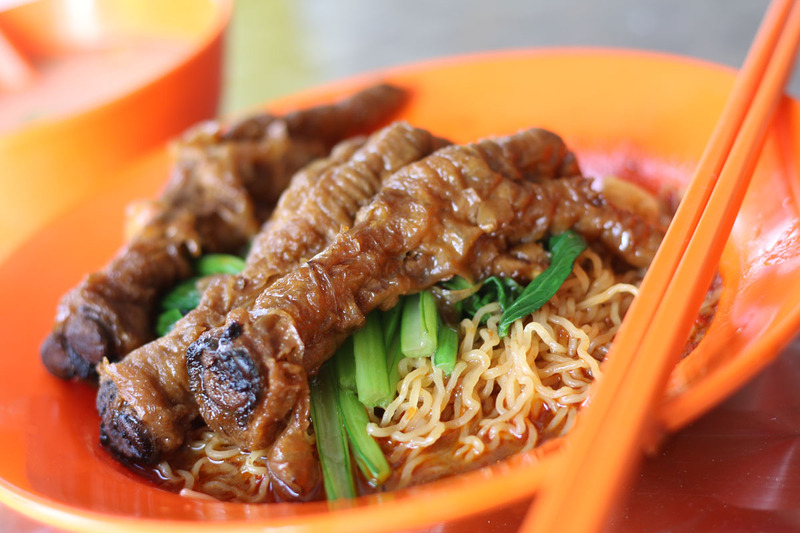 The chicken feet is well braised, with nice fragrance & flavour of the traditional lor bak gravy. You know there are star anice and garlic in there (the gravy). And surprisingly, the lady boss told us that this is one of the top 3 sellers in the stall! 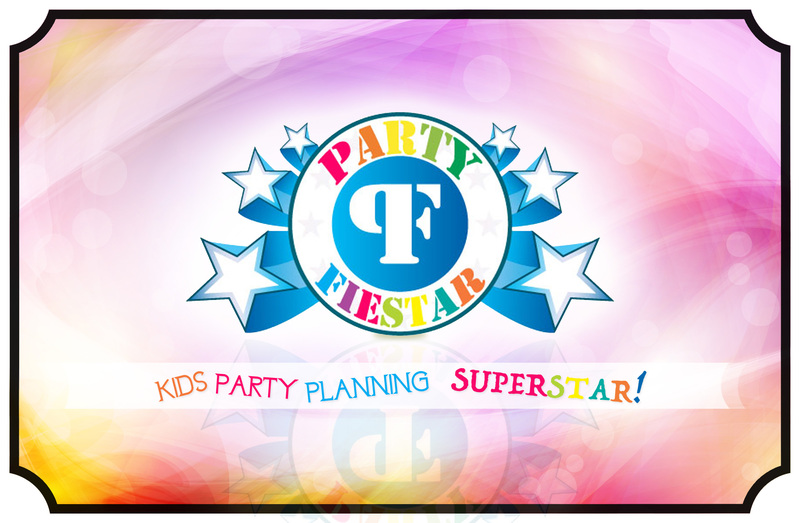 We think this is SUPER GOOD! 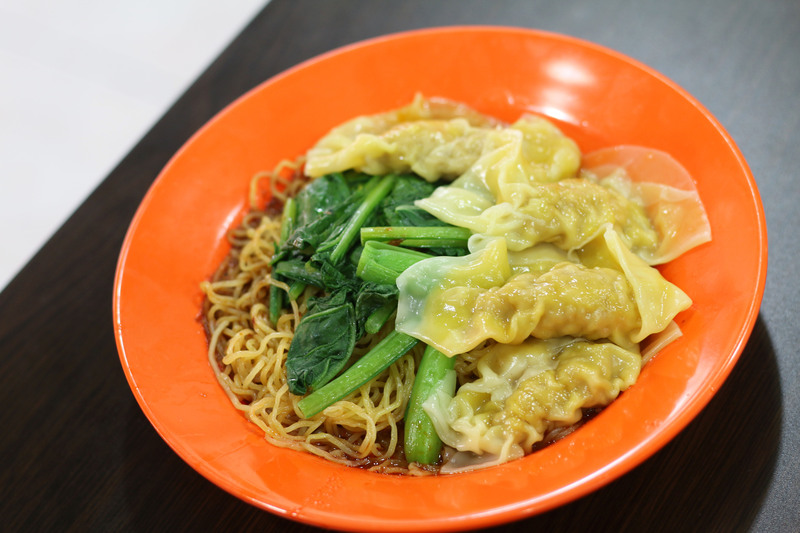 As much as we know there are selling wanton noodles, this dish right here could become their highlight! A lot of effort had been put into braising these pork belly. 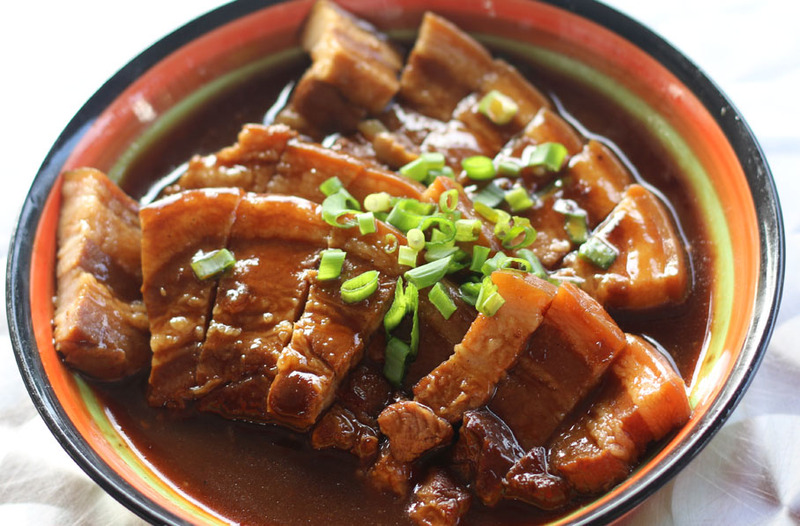 The gravy is extremely flavourful, and the pork (to a certain extent), melts in our mouth. To make this dish even more interesting, Wanton Noodle House decided to throw in two very special sauce to go along with the dish (instead of the usual mayonnaise). 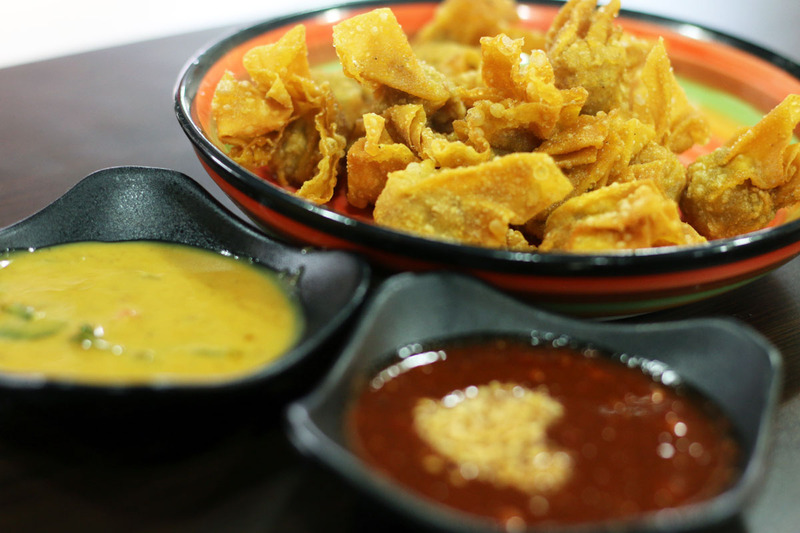 They are: Salted Egg Yolk Sauce & Their Homemade Sweet Chilli.